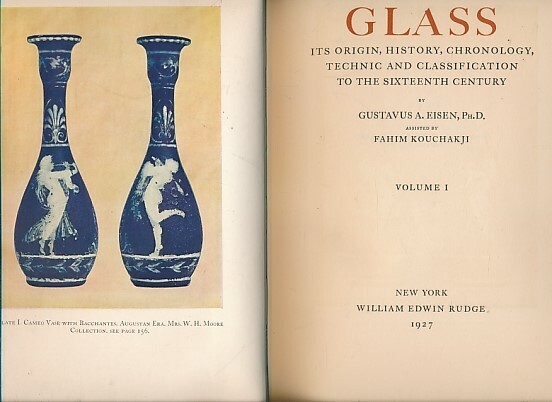 Barter Books : Eisen, Gustavus A; Kouchakji, Fahim : Glass: Its Origins, History, Chronology, Technic and Classification to the Sixteenth Century. 2 volume limited edition set. New York. : William Edwin Rudge. 260 x 180 mm (10 x 7 inches) - xxv, 768pp. Quarter cream spine with blue board cover. VG : in very good condition with pale blue slipcase. 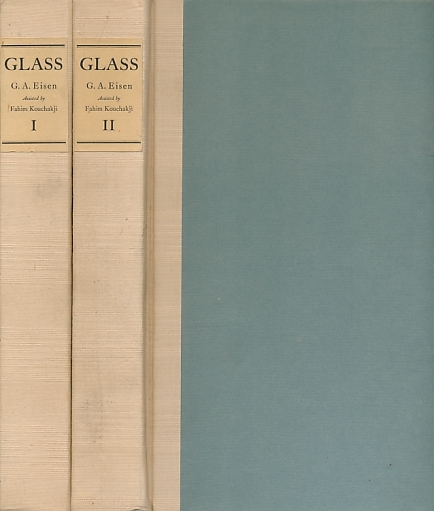 Slipcase damaged and marked.